After losing both his parents, ten year old James (Jim) Burden relocates to Black Hawk, Nebraska to live with his grandparents. There, he meets families from Eastern Europe and Scandinavia who have come to the American frontiers in search of a future. The Shimerdas are one such family. They are Bohemian immigrants who try to eke out a living in the harsh and unforgiving Nebraska Prairie. My Antonia by Willa Cather is the coming-of-age story of Antonia Shimerda. Her friendship as well as her personal trials and triumphs put Jim’s life into perspective. It is difficult to give an introduction to My Antonia because the book is basically a series of anecdotes from Jim and Antonia’s lives. It is lyrically beautiful but brutally realistic about the immigrant experience on the American frontier. Cather’s work reminds me of the 1857 oil painting by Jean Francois Millet called The Gleaners. The harshness of peasant life takes center stage in an otherwise picturesque landscape. But unlike the peasants in The Gleaners painting, Antonia, her family, and friends are not static, archetypal figures. They all start in the same place, but they do not all end up occupying the same positions in life. Chance and perseverance shape the sort of people that they become. Jim learns to see the frontier through the eyes of an immigrant. As in all of Willa Cather’s novels, the characters are fully fleshed-out people; not one is a throwaway. If you have never read anything by Cather, I definitely suggest you start with My Antonia (or Death Comes for the Archbishop, which I reviewed last year). Inspired by the lives of two historical French priests, Death Comes for the Archbishop by Willa Cather explores the story of the mission lands of the 19th century American Southwest through the experiences of Bishop Jean Marie Latour and his vicar Father Joseph Vaillant. The eponymous bishop is called from his diocese in Sandusky, Ohio to start an apostolate in New Mexico. A sickly but committed priest accompanies him on the long and arduous journey to Santa Fe. The Mexicans and Indians of the region have had a complicated history with foreign missionaries. Some priests intimidated and exploited their parishioners while others brought hope and comfort to the poor and downtrodden. Throughout their ministries, Bishop Latour and Fr. Vaillant receive challenges and blessings from people so different in custom from the French. And yet, missionary work is a two-way experience. The priests, too, learn much from the people they encounter on their journey through life. Sometimes, the priests are the ones on the receiving end. The friendship between Bishop Jean Marie Latour and Fr. Joseph Vaillant must be one of the greatest friendships in all of literature. Vaillant (which means Valiant in French) is a powerhouse of a priest. What he lacks in physical attractiveness he makes up for in zeal. At a moment’s notice, he packs up his few belongings and travels thousands of miles to minister the sacraments to Catholics in desperate need of a caring priest. While he is certainly not without his faults, Fr. Vaillant’s unwavering faith is admirable. He completes Fr. Latour (whose last name means The Tower). Much of my love for this book derived from my personal relationship with a priest who is so much like Fr. Vaillant and who ministers to people of similar demographics.This priest is Brazillian and heads a city parish. However, because he is fluent in Portuguese and Italian, he also ministers to the Brazillian and Italian communities of the city, wherever they are located. It seems as if he runs not one but three parishes. The city has become a mission. 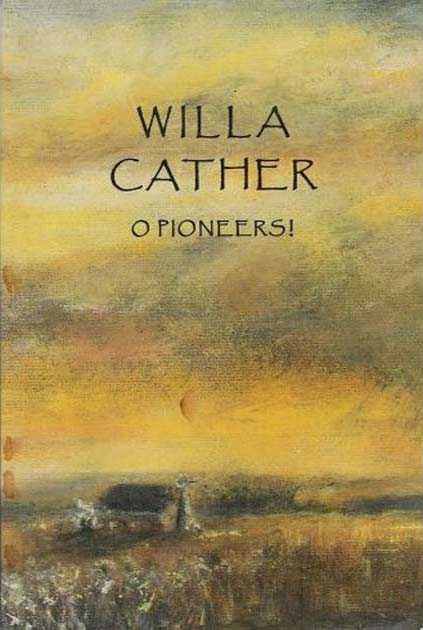 It is rare to encounter dedicated priests in literature (or in popular culture in general), but Cather gives an honest and sympathetic portrayal of missionary life. I have only ever read two books about the mission lands of the American Southwest (the first was Lilies of the Field by William E. Barrett, which I highly recommend). I have been told that Americans who live in states such as California and New Mexico are taught Death Comes for the Archbishop at school because the foreign missionaries had a huge impact on those regions. Willa Cather does not offer a stereotyped portrayal of Mexicans and Navajo Indians. She clearly understands the struggles they face and their approaches to faith. Lastly, the novel explores the various challenges facing missionary priests and the various roles they assume in society. Some priests are well-loved but disobedient. They are popular with their parishioners but for all the wrong reasons. Others are disliked because they exploit the people for their own personal gain. And still others, like Fr. Vaillant, are under-appreciated because they come into conflict with the worldly interests of others. The question I considered as I read Death Comes for the Archbishop was “What makes a good priest?” As the characters are depicted in their full humanity, this is a question that the reader is forced to wrestle with throughout the novel. This is certainly a Great American Novel and probably the most meaningful work I have read this year.